Categories: Bridal Jewellery, Pearl Pendants. 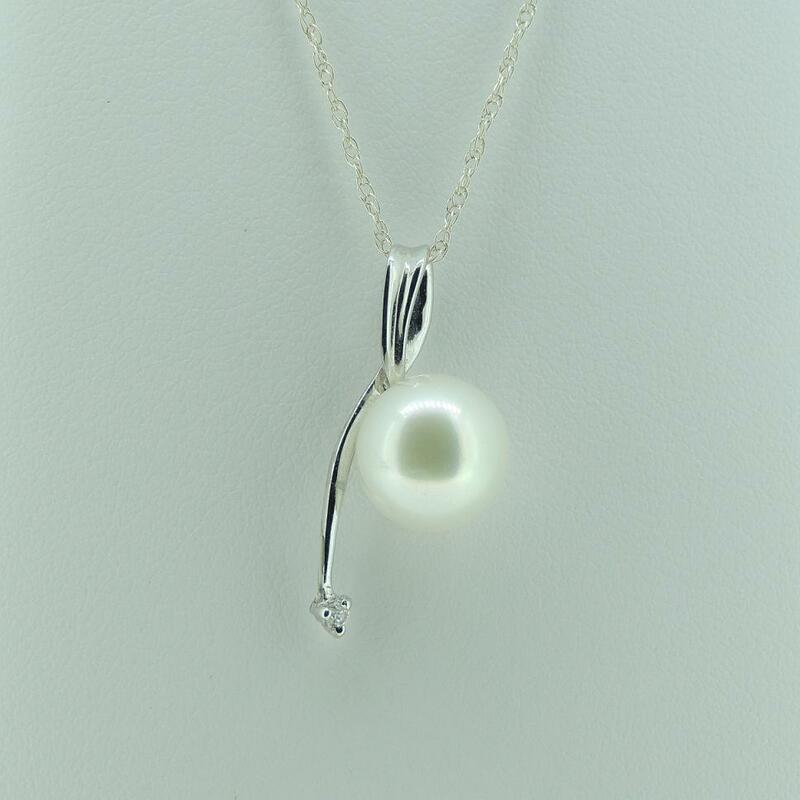 This sterling silver and cubic zirconia pendant featuring a 9-9.5mm diameter white AAA grade pearl would make an ideal gift for a bridesmaid or just to say ‘I love you’. Affordable but very special, this pendant (chain not included) would look lovely worn for everyday or for evening. Pearls and silver seem made for each other and the sinuous design of the pendant echoes the creamy curve of the pearl to perfection. A simple pendant with an elegant design, this will become a staple of any woman’s jewellery collection, and will be worn time and again with much pleasure.